It’s time to turn it up to 11 for the new season of RuPaul’s Drag Race! With a ridiculously prolific year including one season of All Stars and Season 10 under their belt and another season of All Stars currently airing, VH1 and RuPaul are back back back again with Season 11 of the world’s favourite reality show. RuPaul’s Drag Race has grown and morphed into an entire phenomenon over the years. Seemingly endless seasons are in the works as well as RuPaul’s own DragCon and ‘Ru Girls’ breaking into the mainstream. Season 7 and All Stars alumni Trixie Mattel and Katya Zamolodchikova are currently on the fourth season of their own show on World of Wonder, while Shangela and Willam accompanied Lady Gaga in A Star is Born. 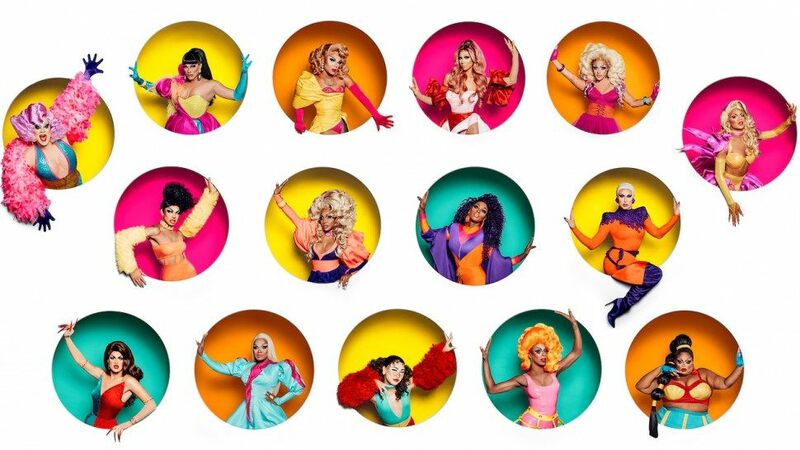 This season’s roster of queens features some familiar drag family names, and a good mix of different styles of drag. You can find the full list of queens here. BUT WAIT, there’s a fifteenth queen. Anyone who knew Drag Race last year will have heard the name Miss Vanjie. The first-eliminated queen of 2018’s season 10 Vanessa Vanjie Mateo whipped her unforgettable exit (repeating ‘Miss Vanjie’ as she walked backwards off the stage) from episode one up into an entire phenomenon, and now she’s back with a Vanjeance and it looks like it’s Avanjers: Infinity War, (I could go on).